Vitamin C is a commonly known vitamin that provides antioxidant support and supports the immune system. It is also beneficial for heart and circulation support. Vitamin C helps initiate the production of collagen in the body. As a nursing home dietitian that has resident's with pressure ulcers, it is important to make sure that they get enough vitamin C and zinc. I often recommend a multivitamin for them to make sure that they are getting enough along with a protein supplement. 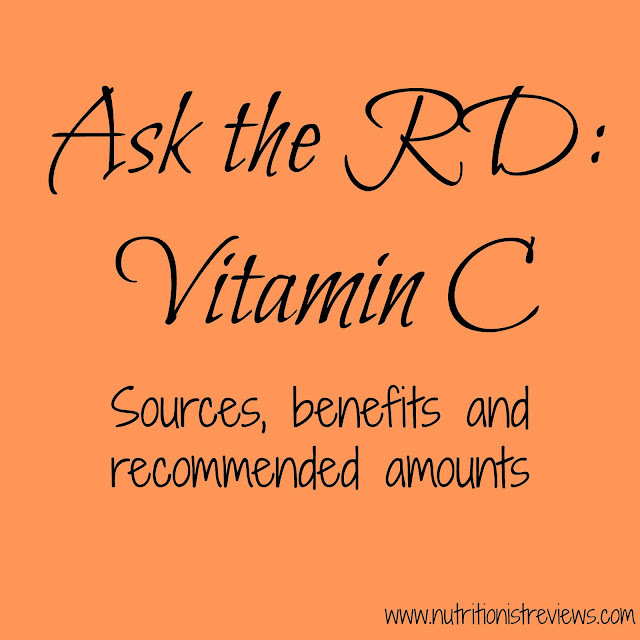 The good thing about vitamin C is that it is in a lot of different foods making a deficiency rare. Other foods with Vitamin C- many foods and beverages are fortified with vitamin C such as cereals and breads. The recommended amount of vitamin c per day for men is 90 mg/day, 75 mg/day for women, 85 mg/day for pregnant women and 120 mg/day for breastfeeding women. Smokers need an additional 35 mg per day. If you want to take a vitamin C supplement, Nature's Truth has a couple of versions available. They have 500 mg and 1000 mg doses available in pills that can be swallowed or chewed. You can purchase Nature's Truth products online and at CVS, at Target.com and Rite Aid stores.